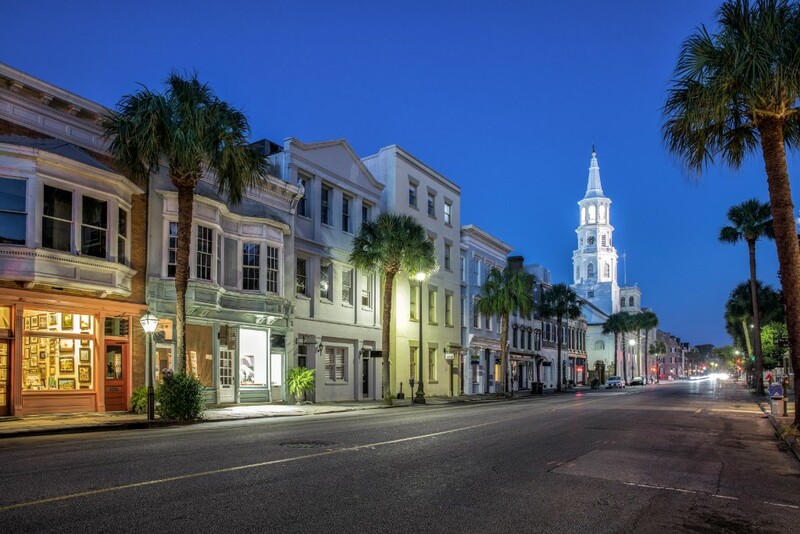 Charleston, South Carolina’s rich history is one reason why the state’s population has continued to swell over recent years. 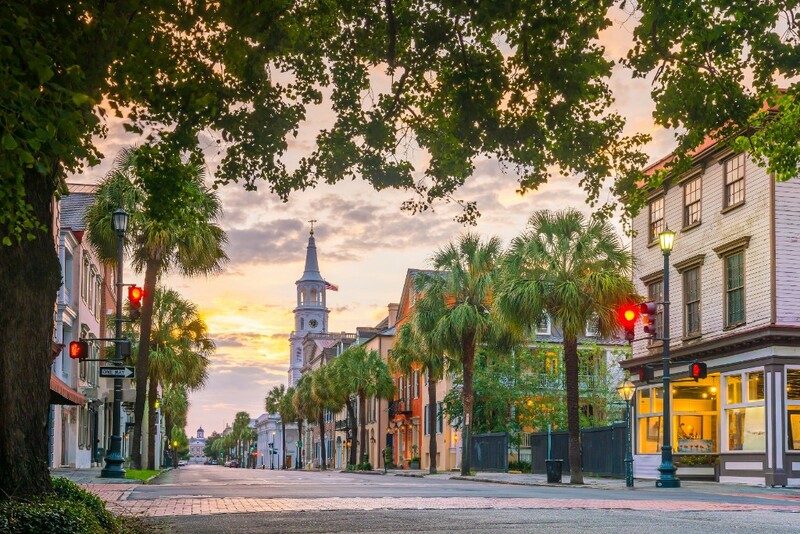 With roots that can be traced back to America’s “Colonial” era and architecture that incorporates piazzas, double houses and earthquake bolts, it’s hard not to fall in love with the city’s practical southern charm. The estates and mansions that are currently on the market are complemented by downtown single houses that all add up to create a cornucopia of options. The city’s location – a key factor, as any realtor will tell you – is also hard to pass up. With access to Atlantic Ocean-facing beaches only a half-hour away and sites rich with local and national history nearby, there’s always something leisurely to do. According to the Charleston Regional Development Alliance (CRDA), the region’s population is growing at a rate that’s three times faster than the national average. “A steady stream of well-educated young talent, who come for jobs – or create their own in our business-friendly community – are helping to boost that number,” the CRDA states. As such, real estate in Charleston SC continues to be in high demand regardless of the type of architecture or neighborhood it sits in. To paint a better picture, below is some information about real estate in Charleston SC that runs the gamut architecturally and logistically. No two house-shoppers have the same needs in mind and after exploring a bit more about the sector, it comes apparent that there’s always a home to fit everyone’s needs. In the heart of Harleston Village, we find a 4-year-old condo building that offers the eventual buyer more than 1,500 square feet to work with. It also has three bedrooms, two-and-a-half baths and two off-street parking spots. 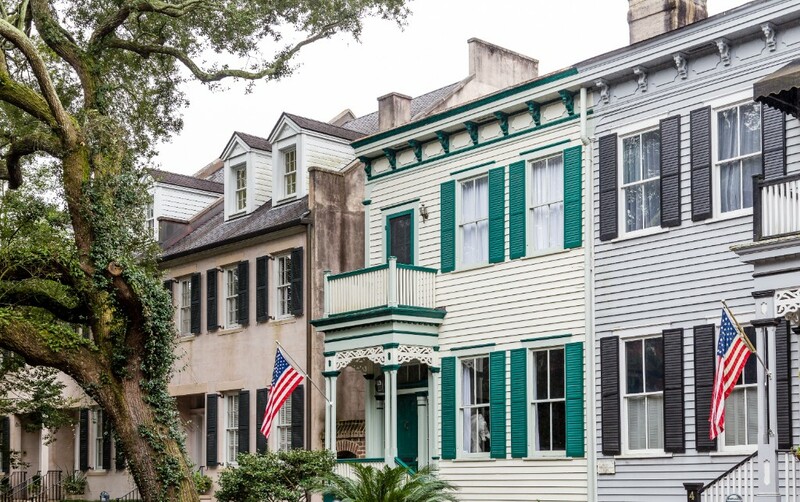 The styling of this Smith Street property blends perfectly with the rest of downtown Charleston and boasts easy access to the city’s marina and Colonial Lake. Moving north to Hampton Park Terrace, those in the market for real estate in Charleston SC will find a two-bedroom, one-bath single-family home that offers a fireplace, hardwood floors, crown molding and other accents that make the eat-in kitchen even more enticing. Currently home to about 775,000 people who amount to a median age of 36, the Charleston region is also adding nearly 30 new residents every single day. Each and every one of these newcomers is going to need a piece of real estate in Charleston SC that meets their budget and personal needs. This is where companies like Carolina One Real Estate come in and given the local knowledge and level of expertise they bring to the table, finding a dream home in or near Charleston has never been easier. Some vacations call for an all-out escape. No work emails, no traffic, no noise pollution and nothing but nature to take in. The thing about getting away from it all and finding a location that boasts true peace and quiet is that it also takes time to locate the perfect place for a week-long get-away. That’s because these towns are off the beaten path and not next to the major tourist traps. 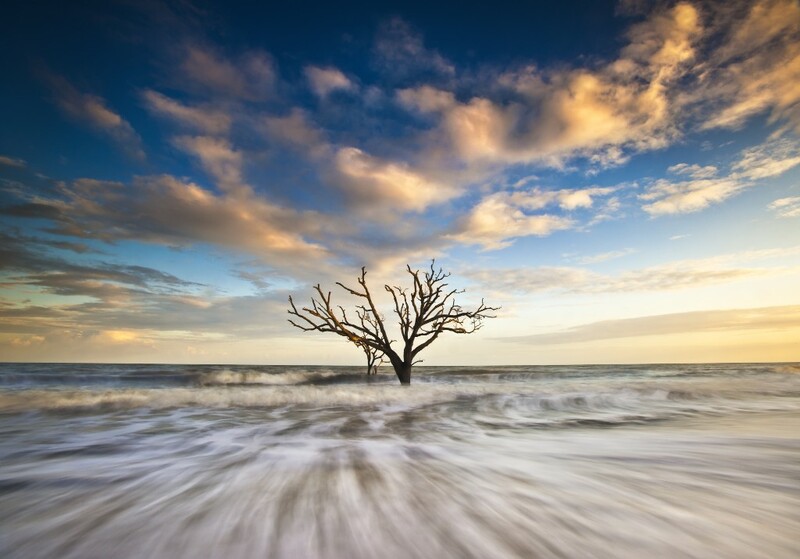 If you and the family are in need of a peaceful outing, look no further than Edisto Beach. This South Carolina community that’s only home to a few hundred residents is located along the Atlantic Ocean -- but is also far enough away from downtown Charleston to free it from the trappings of the typical summer vacation. If you’re looking to learn more about this town in Colleton County as well as Edisto Beach rentals for your vacationing group of family or friends, you’ve come to the right place. Separated from mainland South Carolina by the South Edisto River, Edisto Beach has seen a recent revival as a vacation destination despite being a year-round community for nearly a century now. The town’s official website touts the municipality as “one of the few remaining family-oriented gently-developed beaches on the eastern coastline of South Carolina.” Home to plenty of restaurants and bars, guests can visit places like the Dockside Restaurant, Pressley’s at the Marina and SeaCow Eatery to sample the local dishes in town. To the north of the town, Edisto Beach State Park offers hiking and biking trails across its 1,255 acres as well as cabins for overnight stays. 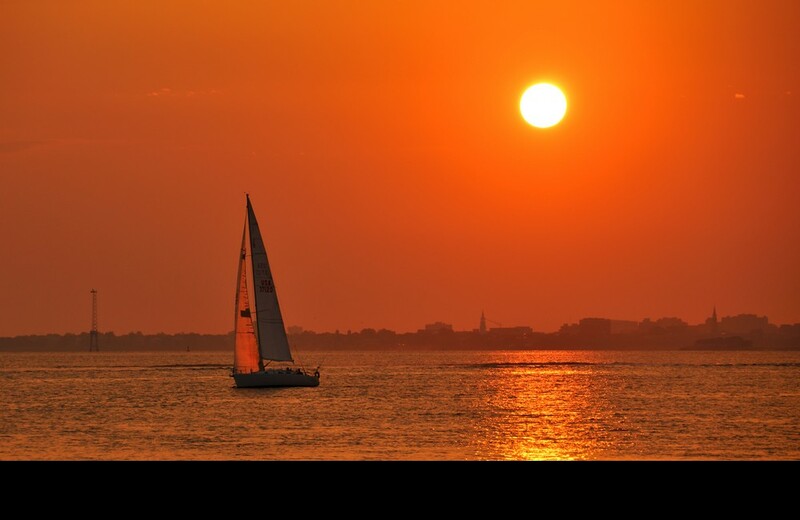 Historic Charleston is more than 50 miles to the north, which takes about one hour by car. This can be viewed in one of two ways: A drive up to the city is easily accomplished for a day drip while the distance keeps the typical tourist traffic spillover into neighboring communities to an absolute minimum. For those researching Edisto Beach rentals for their upcoming trip to South Carolina, there are properties currently on the market that are located near the beach or event boast oceanfront access. These same homes are multi-bedroom and multi-bath units easily capable of sleeping in excess of 10 guests. This makes an escape to Edisto Beach an option for both a large circle of your friends and extended family all under one roof. 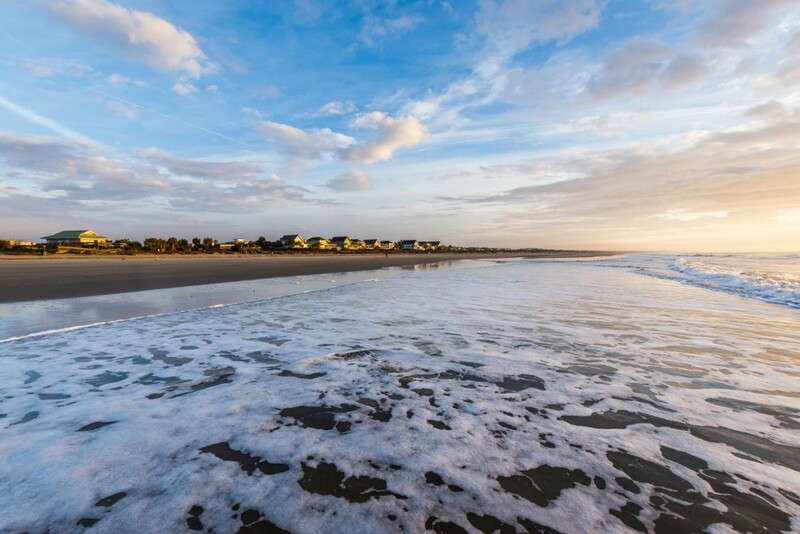 What’s more, some unique amenities that Edisto Beach rentals offer include boat docks and easy ocean access. With perks like that, we wonder why anyone would ever want to spend their night in a downtown hotel room. When most people think of “summer vacation,” it’s typically an immediate family affair. That means no more than four or five people hopping in the family car and setting off toward their destination. There are those special occasions, however, when extended families plan a summer stay that has been in the worksfor quite a while. These are the summer vacations that will yield memories to last a lifetime as generations from the same family tree finally get together. The planning process to pull this off is often quite involved and it requires everything from finding the right vacation rental property that can house most or all of the clan to everyone agreeing on arrival and departure dates. In South Carolina, where the tourism sector has turned into a billion dollar economic engine for the Palmetto State, destination vacations are all the rage. This is especially true for those looking into Folly Beach rentals, as the “Edge of America” is one of the more scenic sites in the state. Still, the all-important Isle of Palms rentals where you’ll lay your head at night is a prerequisite before any other planning takes place. For those considering a journey to the shoreline of South Carolina, please keep reading to learn more about booking advice for vacation rentals. Head Count: Let’s say grandmom, grandpop, their two children, their children’s spouses and two kids each are all getting together for the long-overdue summer vacation. That’s 10 people and they can all comfortably stay in Folly Beach rentals granted the search and booking process was started early enough to find such a desirable property. If you’ve got a few fewer than 10 coming to stay, “The Loggerhead” is one of the more desirable Folly Beach rentals that has seven bedrooms. It also boasts flat-screen TVs in every bedroom, six bathrooms and allows pets so you won’t have to find a dog or cat-sitter for your extended stay away from home. Walking Distance: Isle of Palms rentals that boast 10 bedrooms and sleep up to 22 guests are in high demand among those planning group get-aways. However, local attractions near these rentals are often of equal consideration. On Isle of Palms, for example, guests can take in seven miles of local favorites that include fishing, kayaking, sailing, golf, surfing, photography opportunities and much more. In these barrier island communities, there’s always plenty to discover after just walking out the door of your rental and heading off toward destinations unknown. Map Quest: No matter if you’re looking for Folly Beach rentals or Isle of Palm rentals, the exact location of the home is going to be of great consideration. Fortunately, local companies like Carolina One Real Estate have a property portfolio that offers oceanfront homes and others well within close proximity to the beach or others that offer views of the coastline. The best real estate companies in the area recognize that not every guest wants to be as close as possible to the surf and sand. That’s why there are plenty of places in Isle of Palms and Folly Beach that are near the action; not in the middle of it. While everyone who visits coastal South Carolina has their personal reasons for doing so, access to the Atlantic Ocean is a popular one. That’s because Charleston, which is already well-known for its historical significance and unique architecture, boasts quick access to the beach. How quick? By car, you could get from downtown Charleston to the nearby beach communities in about 20 minutes. This is just one reason why so many people are searching for houses for rent in Charleston SC when the weather starts to get nice. Now that spring is in full swing, it’s time to find the right rental for you and the family come summer. With that in mind, we’re exploring recent recommendations from Conde’ Nast Traveler magazine. Not only will these shoreline suggestions help those looking for houses for rent in Charleston SC, but readers will also learn about why they should be taking day trips out to the coast. According to the magazine, “You’re never far from the water in this part of South Carolina—and the barrier islands beyond Charleston's city limits beckon for an afternoon jaunt.” This is why places like Isle of Palms and Folly Beach have become so popular for quick visits. The former is home to “seven miles of crystalline shoreline and tight seaside community” while the latter offers “nothing but ocean stretching out before it” on top of “small-town character.” Another location that the magazine suggests checking out is Sullivan’s Island, a barrier island along the coast that boasts a “public beach overlooked by the historic lighthouse.” While there are a half-dozen other beaches near Charleston that are easily accessed, the takeaway is this: You can’t go wrong when picking a site for an afternoon of rest and relaxation on the beach. Many of those looking for houses for rent in Charleston SC will ask realty companies if a certain property is a good fit for them. The answers vary as much as the clients themselves, but the knowledge that the best local realty companies exhibit is always on display. Carolina One Real Estate, for example, can have upwards of 2,000 properties across four South Carolina counties on the market at a given time. That offers great variety, but someone looking for houses for rent in Charleston SC will have specific needs. With professional realtors standing by, those needs can be readily addressed so that the rental period is perfected by a property that’s always going to exceed every expectation. With spring in full swing once again and the promise of summer starting to resonate among those who love the beach, it’s time to get outdoors once again. It’s also easily argued that nowhere is this more satisfying than in scenic South Carolina, where natural beauty meets historical significance. However, it always helps to have a team of local experts on your side who can guide you to the best sites across South Carolina as well as find Folly Beach rentals that are going to make your stay that much more enjoyable. 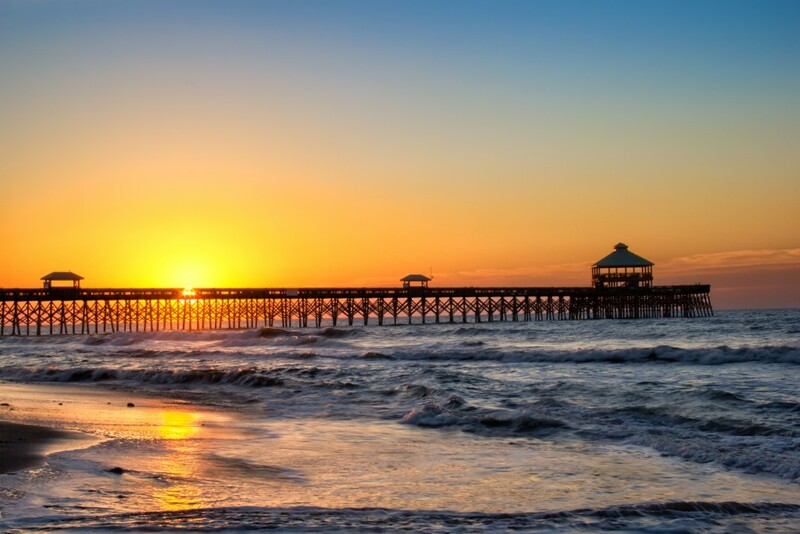 If you’re looking for a coastal area of South Carolina that’s going to appeal to everyone in your group, the city of Folly Beach is hard to beat. That’s because this barrier island of about 2,700 residents runs for about six miles along the Atlantic Ocean. There’s a reason why it’s called “The Edge of America” and the prime location alone should be enough to entice those looking for Folly Beach rentals as a way to secure their summer stay. If not, we encourage you to learn more about some of the hottest destinations in the city of Folly Beach as well as nearby. With this guide as a map for your upcoming summer excursion, you are guaranteed to have a memorable time in South Carolina. 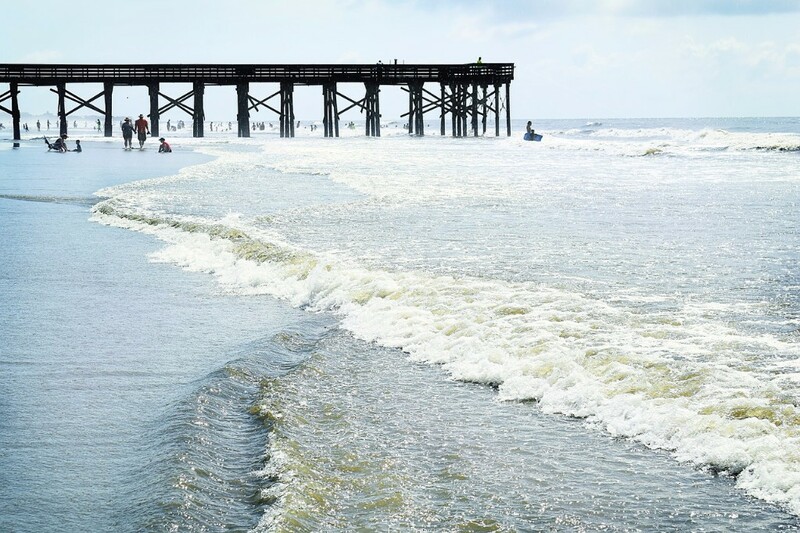 Making Waves: Since we’ve already established the proximity of Folly Beach rentals to the wide open ocean, it would make sense that travelers would want to get out in the water. According to TripAdvisor.com, there is no shortage of companies offering kayaks, canoes and other watercraft that are going to propel your adventure. Once such company, Coastal Expeditions, is headquartered in nearby Charleston and reviews show that guided tours of Folly Creek are one such route you can take. Shop like a Local: We’ve previously covered Folly Beach’s proximity to the historic Fort Sumter site and its significance as it pertains to the outbreak of the U.S. Civil War. We highly encourage a visit, but there’s no reason why you shouldn’t spend some time relaxing through shopping. According to VisitFolly.com, the city offers surf shops, beach stores and places for souvenirs. However, local favorites such as Bert’s Market, which was previously voted best market in the Charleston region, awaits prior to your relaxing day on the beach. Gone Fishing: Again, the ocean plays a pivotal role in things to do at Folly Beach. The historic Edwin S. Taylor Fishing Pier, at 24 feet wide and 1,045 feet long, is “perfect for fishing, strolling and bird and dolphin watching,” according to TripAdvisor.com. We couldn’t agree more and as such, suggest a trip here for those who’d like to venture into the ocean without ever having to get their feet wet. With spring right around the corner, many minds may start wandering toward summer and the pleasurable escapes that the season offers. Sunsets over the ocean, boardwalks bustling with lively crowds, relaxing mornings on the deck and appreciating the general peace that beach excursions bring are just some of the reasons why right now is prime time to start researching Isle of Palms vacation rentals. This South Carolina city has for decades been a premier destination for those in search of rest and relaxation that is always boosted by ocean-front living. Finding the right vacation rental to fit the needs of your family is an essential consideration when planning your break from work, school and other regular responsibilities. That’s why we’d like to offer the following tips for those ready to escape the daily grind and head down to the beach for a much-deserved outing. 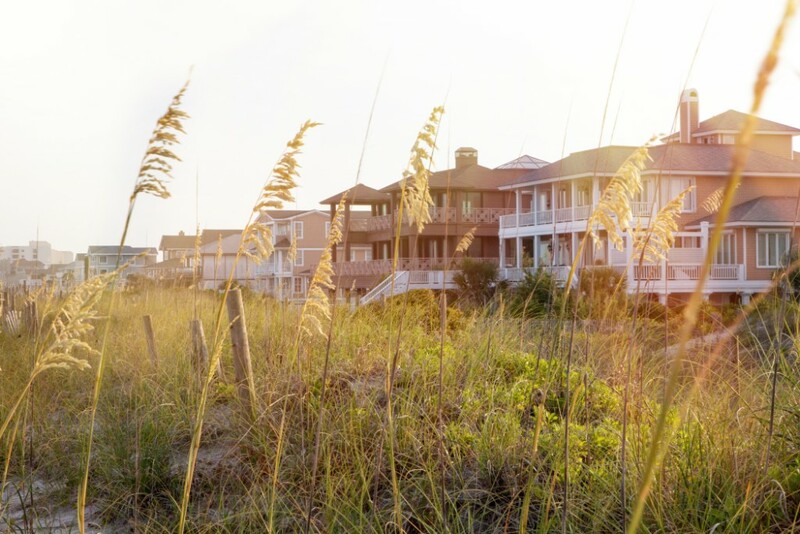 According to Coastal Living magazine, appearances are important for tenants looking for the best Isle of Palms vacation rentals on the market. Not only will tenants likely require extra rooms and play space for children, but a well-manicured lawn is something that’s also often sought after when shopping around. To that end, the magazine notes that truly desirable beach rentals should offer a one-of-a-kind experience that your family will talk about for years to come. This also means you may find Isle of Palms vacation rentals that keep you coming back every season. SmarterTravel.com goes on to suggest that those in search of seaside rentals may also want to investigate the local business climate to see if grocery stores, restaurants and other stores frequently visited at home are nearby; you never know when an emergency is going to crop up. Founded in 1938 and home to approximately 4,000 residents, Isle of Palms is known for its vast real estate that fronts the Atlantic Ocean. Surrounded by salt marshes and home to the 1,600-acre Wild Dunes Beach and Racquet Club, the city offers plenty to do along its seven-mile-long footprint. Such Isle of Palms attractions that offer options for guests of all ages includes local restaurants, top-of-the-line public parks, a marina at the southern end of the strip and plenty of the aforementioned shopping options when you need to pick up a few things for your Isle of Palms vacation rentals. The only thing standing between you and a summer excursion you’ll never forget is locating the rental property that’s a perfect fit for your family. This is where premier companies like Carolina One Real Estate come into play. By entrusting a real estate operation with decades of combined experience and ties to the local community, you’ll be sure to be paired up with a home on the Isle of Palms that puts you as close to the sandy beaches as you want to be but a mere 20-minute drive outside of bustling historic Charleston -- it’s truly the best of both worlds.